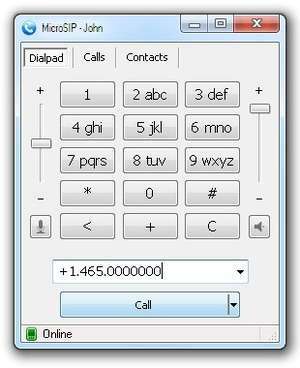 MicroSIP is a simple and easy-to-use utility that allows you to make high quality VoIP calls via the open SIP protocol. Now, you can register a SIP account and use it with MicroSIP. You'll get free person-to-person calls and cheap international calls. You will be able to customize the application by setting the ring tone, as well as the speakers and microphone. Version 3.19.12 is a freeware program which does not have restrictions and it's free so it doesn't cost anything. For security reasons, you should also check out the MicroSIP download at LO4D.com which includes virus and malware tests. Additional screenshots of this application download may be available, too.